If at all possible when placing your order, please avoid calling between 11:00 am – 2:00 pm. We want to be able to give your order all the attention it deserves. 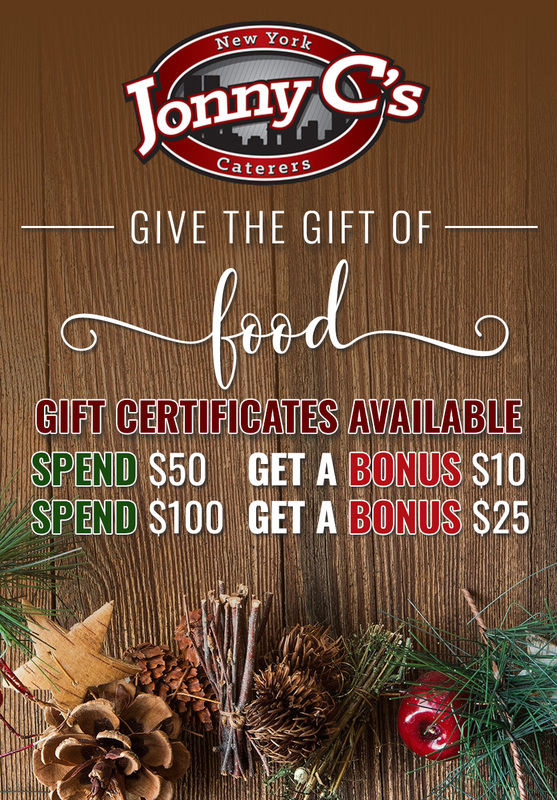 Jonny C’s also offers catering on and off the premises, 7 days a week, 360 days a year, 24 hours a day, traveling from Rochester to Silver Creek. Great pride and attention to every detail to make sure your catering is perfect! Customer satisfaction is the #1 goal! Hosting or helping to host an event or party can be a stressful task. With invitations, decorations, entertainment and so many other details that need to be planned, you could very easily get overwhelmed and have an outcome you didn’t plan. Regarding the food for you party, leave all of the details and plans up to us. We are premier Buffalo NY catering company. Our Buffalo catering services are simply the best! We have the most delicious food and menus to accommodate any sized party. When it comes to catering services in New York, there are a lot to choose from. Buffalo, NY is known for its amazing foods. 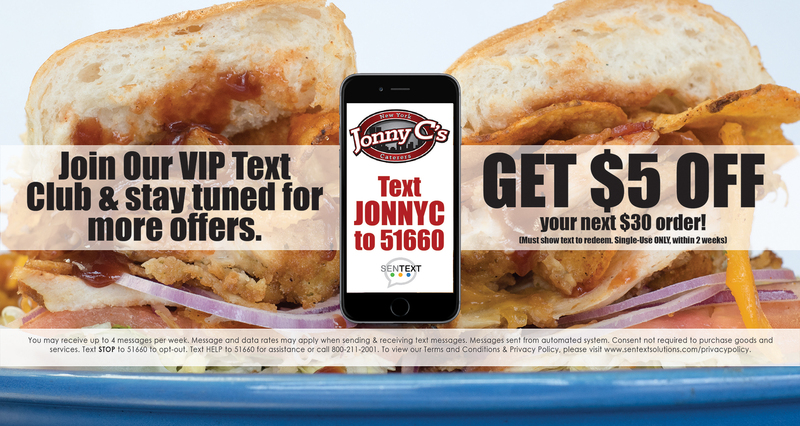 We are famous for a lot of different types of foods and we are proud to say that at Jonny C’s we can deliver these great foods items for you. All of the foods we prepare for your party are cooked fresh and delivered right on time. Look no further than our catering company in Buffalo NY. In addition to our catering services, we also have a Buffalo NY deli. There is nothing better than a fresh sub filled with the best meats. We have a wide variety of subs, sandwiches and many other delicious meals on our menu in our NY deli. All of our prices are affordable, but our service and food is out of this world and can’t be beat. Owner, Jon Cohen, has been involved in the food service industry since he was sixteen. He is a native of the New York City area and he knows the value of good food and fast service, which is exactly what his catering and deli is all about. Jon has taken what he learned from living in the NYC area and incorporated his ideas, foods and passion into his Buffalo NY catering business and NY deli. What you’ll be provided here at Jonny C’s our menus and friendly and professional services can’t be beat. 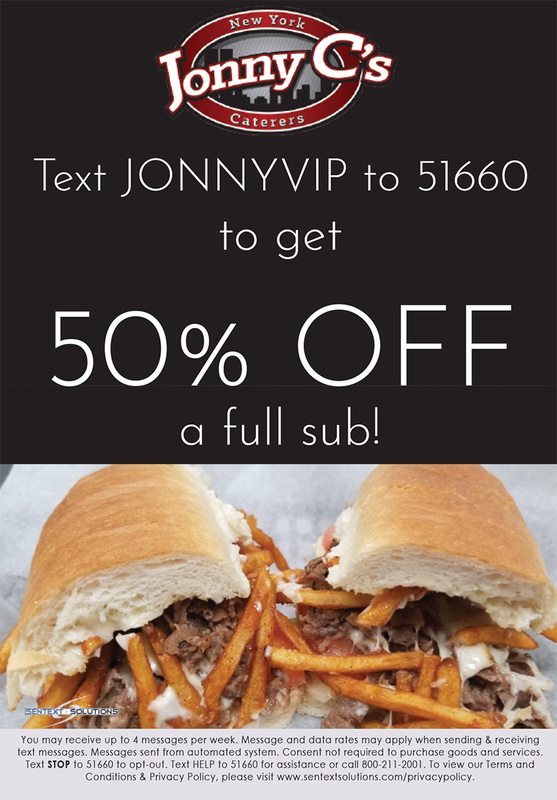 If you have an upcoming event to host and are in need of good catering or want to enjoy a fresh NY deli sub, come to Jonny C’s today.